App for bundling user built Dreamweaver server behaviors. Is there a better alternative to SBWrapper? Is SBWrapper really the best app in HTML category? 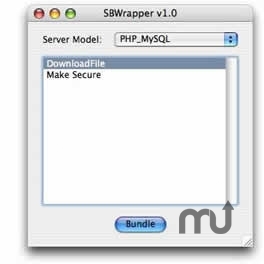 Will SBWrapper work good on macOS 10.13.4? Extension Manager to help identify what your server behavior does. Define a 3rd Party License to appear in the Extension Manager when installing. Adobe Dreamweaver MX, MX 2004, 8, CS3, CS4 or CS5. SBWrapper needs a review. Be the first to review this app and get the discussion started! SBWrapper needs a rating. Be the first to rate this app and get the discussion started!